An area of wasteland with a Harvest Festival Poster on the far wall. 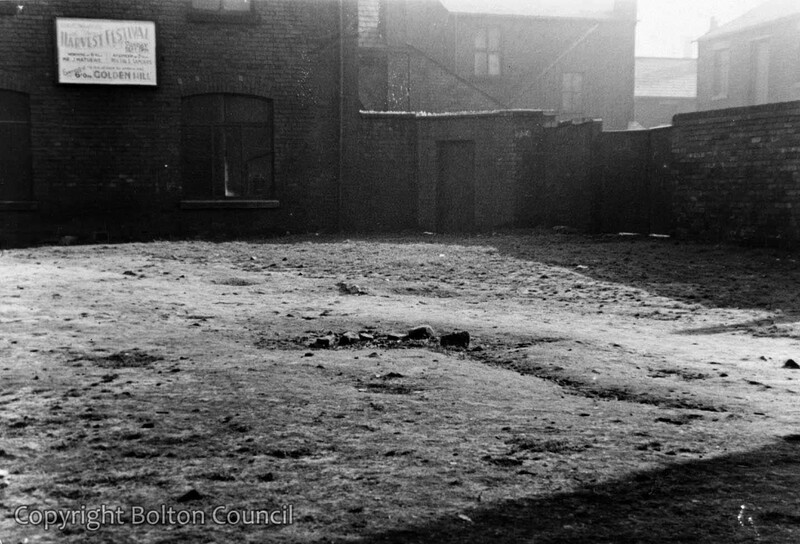 We have not identified the location of this photograph, although we think it is in Bolton town centre. If you have a suggestion please leave it in the comments.